. يقدم Ashfield Manor Hotel خدمات لا غبار عليها وكل أشكال اللياقة وحسن الضيافة اللازمة لإسعاد ضيوفه. يمكن لضيوف الفندق الاستمتاع بالميزات التالية على أرض الفندق: واي فاي مجاني في جميع الغرف, مجهز لذوي الإحتياجات الخاصة, مرافق مخصصة لذوي الاحتياجات الخاصة, تخزين الأمتعة, واي فاي في المناطق العامة . تعكس غرف الفندق البالغ عددها 36 المنتشرة في 2 طوابق جواً من الدفء والألفة.خدمات عصرية مثل تلفزيون بشاشة مسطحة, سجاد, رف للملابس, بياضات, اتصال لاسلكي بالإنترنت موجودة في بعض الغرف المختارة. يقدم الفندق العديد من الفرص للاستجمام كمثل حديقة. مهما كانت دواعي سفرك فإن Ashfield Manor Hotel هو خيار ممتاز لإقامتك في سيدني. يكون مكتب الاستقبال مفتوحًا من الساعة 08:00 صباحًا إلى 07:00 مساءً يوم الاثنين إلى السبت ومن الساعة 08:30 صباحًا إلى 07:00 مساءً يوم الأحد. يجب على النزلاء الذين يصلون في غير هذه الساعات اتباع معلومات الحصول على المفاتيح التي تُرسل عند الحجز. يُتاح تخزين الأمتعة في يومي الوصول والمغادرة فقط. Great place excellent value for money !! Staff were very hospitable and keen to help with my alternative plans and locking my key in the room. This is the greatest place to stay. 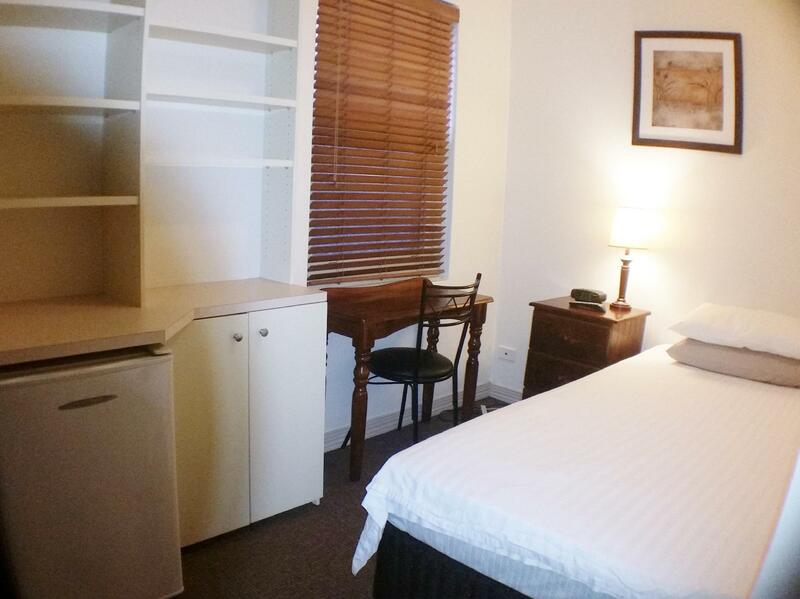 Located a 2 min walk from Wests Ashfield Leagues Club. It is spotless and quiet with a lovely outdoor area. The receptionists are way above usual. Breakfast is included - get it yourself and clean up yourself - great value. It is quiet. Security is tight. A bit hard to park somewhere but there is a culdesac nearby. We stay there often. The hotel located near city you can take train or bus for 15-20mins. Also there is shopping center in 10 min walk. They privide amenities free breakfast, wifi. You can use kitchen and washing machine. Room was quite small but very clean. * but frizer was broken and there is no dryer. 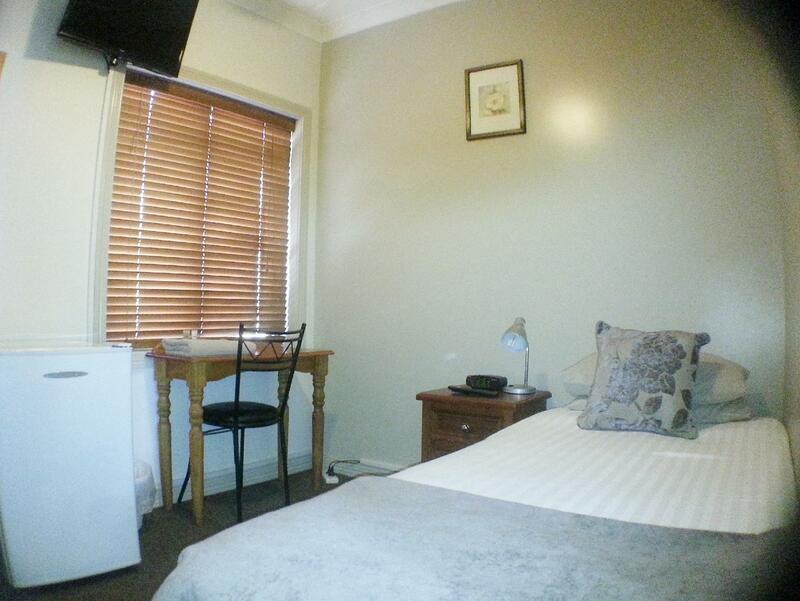 Located right on the (old) Hume Hwy / Liverpool Road, the rooms are noisy. They are also small and have few features. The towels were threadbare. There are strong chemical smells. The bed was comfy and the simple breakfast a bonus. Thank you Richard. Unfortunately, Ashfield Manor is a very old building that was not purpose built, so space in some rooms can be at a premium. Whilst all rooms at the front of the house have double glazed windows to keep out the noise from the road, there is not a whole lot we can do about noisy neighbors. Had you bought this to our attention whilst you were here with us, we could have remedied the situation. Thank you Alex. Our rooms may be on the smallish side, but quite OK if you are only sleeping, and not wanting to perform highland dancing in your room. FREE basic breakfast is plentiful, more than most people aften have at home. Full kitchen facilities are available for those who wish to cook themselves up a storm. Thank you Janine. Yes the Manor is located quite close to public transport, both bus and rail. 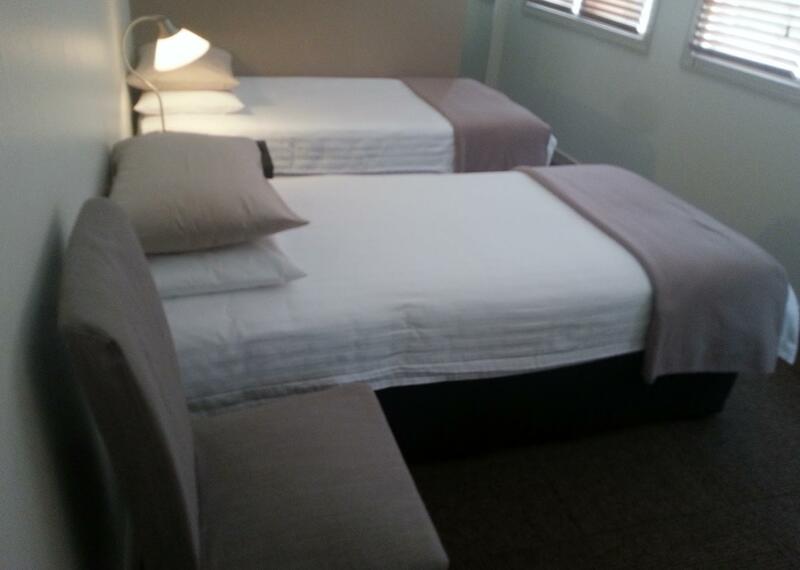 We are pleased that you were provided with everything you needed to make your stay with us enjoyable. In regards to mirrors, we are currently replacing all mirrors to full length, so hopefully in the future, should you stay with us again, you will note the difference. One of the best B&B. 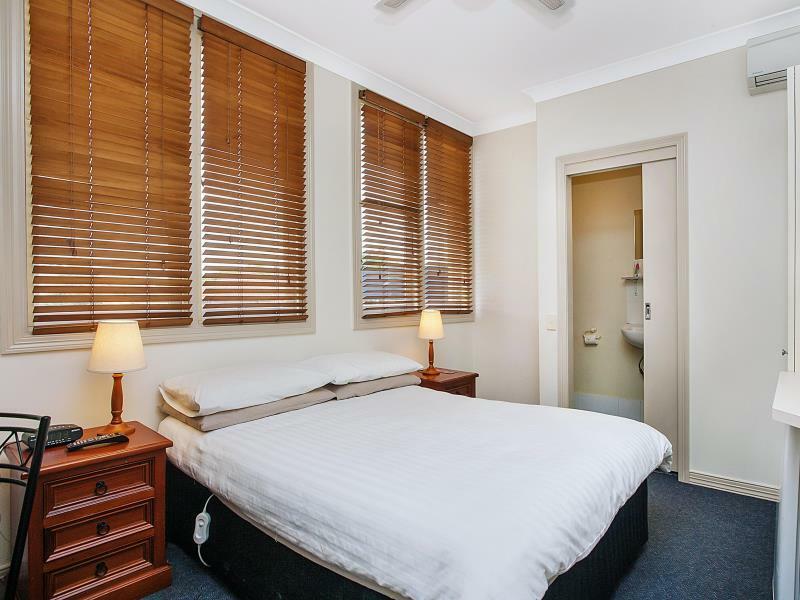 The location is a bit out of Sydney CBD but you can easily access to city via bus where its stop is right in the front of Ashfield Manor. Ms. Jen and all the staff is very friendly. Light breakfast is very good. It is woth the money. Highly recommend. Thanks Nalinphat, we were very pleased to have met you, and hope that you return soon for another visit. 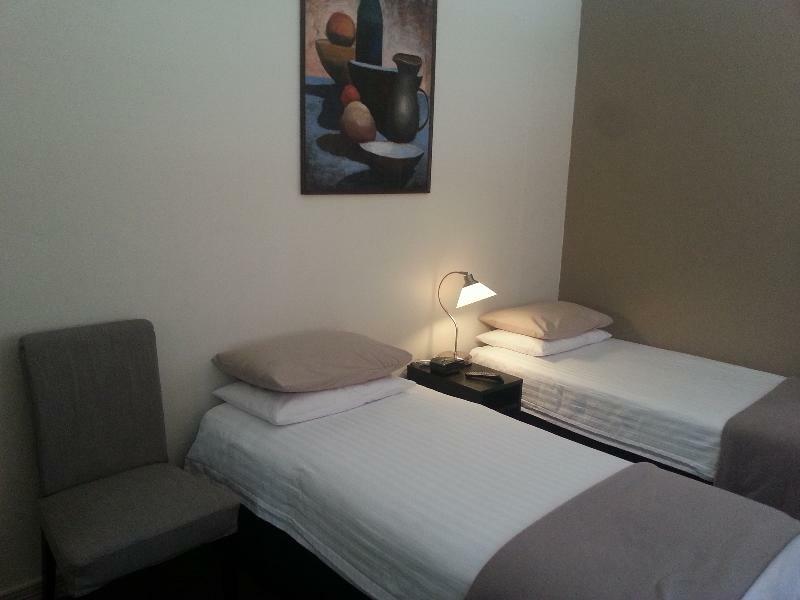 Location was really good for me, 20-30 mins to the airport and city centre. There's free onsite parking and also street parking in the evening. Only a few mins to Ashfield shopping centre which has Aldi, Coles and Woolworths. The room itself is generally clean and we had an en suit, which was great. The kitchen is well equipped but closes at 9pm (would be good if it was open longer for people who want to make late night meals or tea). There is free breakfast with a good variety of bread and cereal. I didn't find the staff friendly, they didn't smile or say hello. As feedback to the team, they should make more of an effort to make guests feel welcomed. But otherwise, everything was generally good and we had a pleasant stay. Thank you Kim Song. We are sorry that you were not made to feel welcome whilst staying with us. We pride our selves on our great service to our guests, and it is very unusual that our staff did not smile or say hello. Usually we are quite chatty, especially at breakfast time. We are pleased that this did not deter from what otherwise appears to have been a great stay. 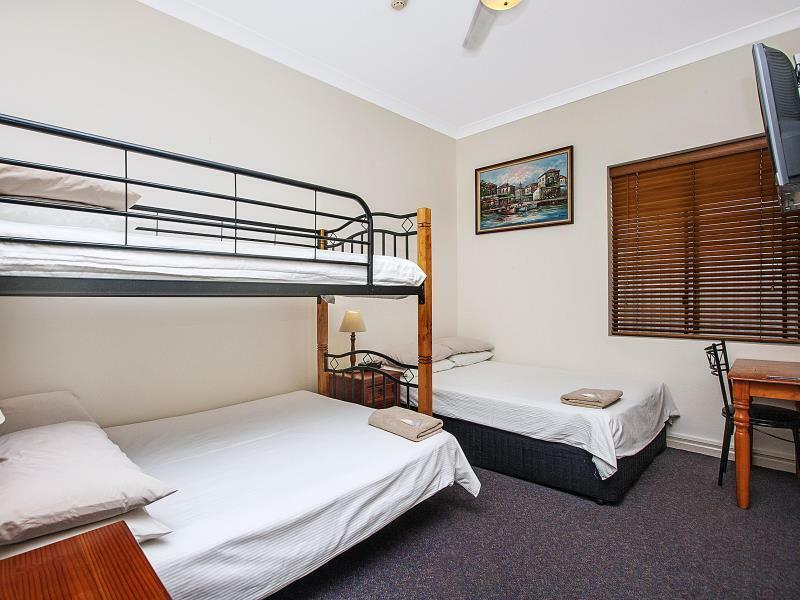 The price of this accommodation speaks volumes about the place. This was the best value place I could find. 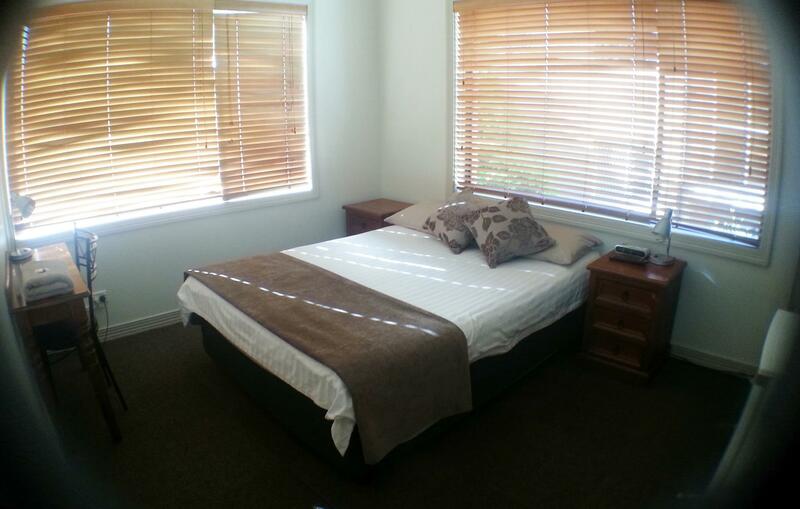 The place was clean, located close to a train station and secure. I arrived 20 minutes before check in at 2pm and was sent away through a crackly intercom at the door until 2pm. I thought that could have been managed better. The room was basic but comfortable. TV, fridge, desk, storage and airconditioning. breakfast provided. There is a courtyard inside the property, shared dining room, study area. The property is old and creaks when people walk down the hallways. light sleepers beware. I was in town for a wedding which was located near this property. That's why I chose this place. Best value for the area I needed. In that respect, it was fine. Thank you for your review. 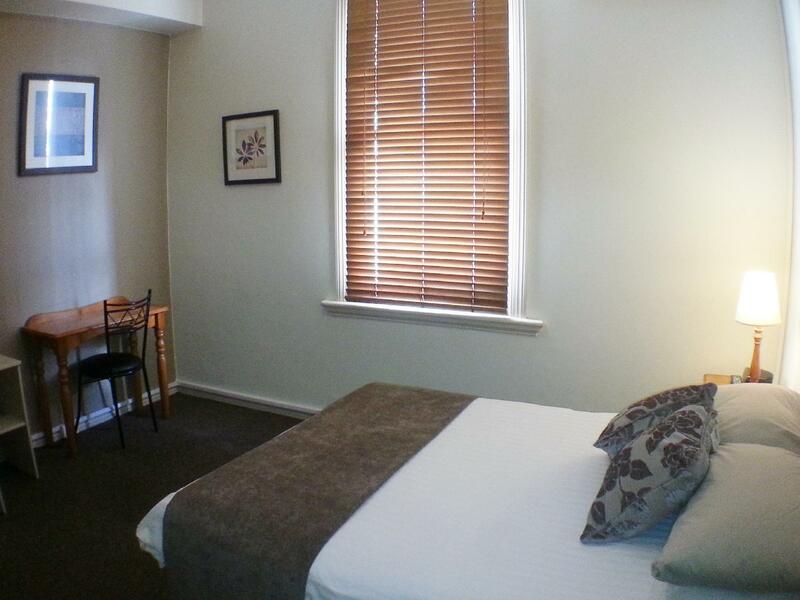 We are pleased that you found Ashfield Manor to be all that you needed when searching for accommodation in Sydney. As for operation of the laundry facilities, staff would have been more than happy to explain procedure for you if you found it to be too confusing. This was a good place to stay but not quite what I expected...It was advertised on third party website as a Bed and Breakfast but I felt it had a more upmarket hostel feel to it with a private room and a shared kitchen. I did't feel the "breakfast" really qualified as a B&B breakfast. Anyway rooms were nice. Staff was nice. WiFi not great. Location is good. Not much parking avail but there is some. Price was fair. Depending on the friend, I would recommend again. Thank you Ritchie, although Ashfield Manor is not a hostel, upmarket or otherwise. Breakfast has been deemed to be plenty to get you started for the day, and after all, it is FREE! Cereal, toast and fresh fruit in multiple varieties is available. My room was very warm in the evening. Thank you Andrew. Unfortunately, you reserved one of our budget rooms, without the pleasure of air-conditioning, and we are experiencing a very long hot summer this year. Perhaps for a few dollars more on your next visit, you can shout yourself a little upgrade. Didn't like very much. There were very strict rules to follow, we e.g. had to leave washed clothes wet since we were slightly late. The room had windows facing to a high fence. We woke up to a fire alarm around 4 am. From some reason this reminded me a prison camp. Need to catch the train to CBD. 15 min. Walk to the station. Thank you Joseph. Hope to see you again soon. Parking is something we can not fix unfortunately,it is clearly stated on all OTA sites that our parking is limited. We do advise all our guests in all our communication that the parking onsite is limited. There is plenty of free, untimed parking in the surrounding streets. Thank you. We are pleased that you enjoyed your stay with us. 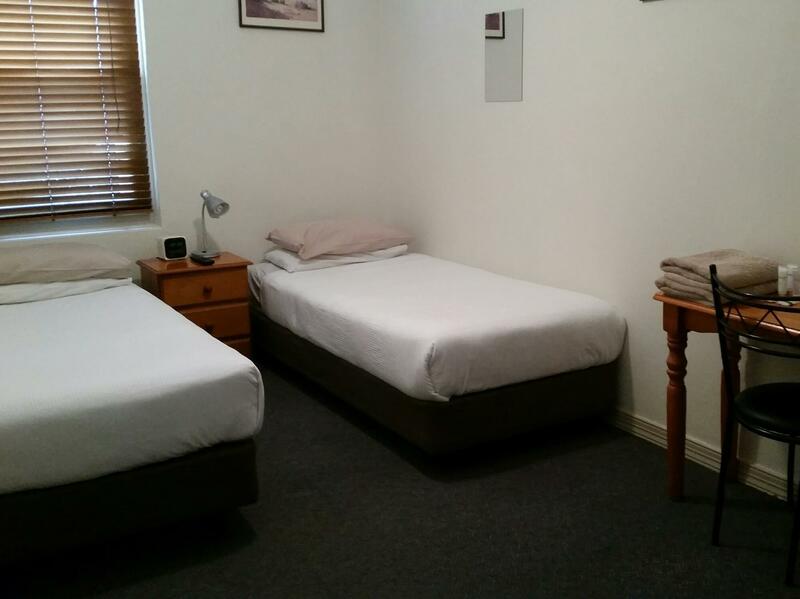 Unbelievable these days in Sydney to find clean, comfortable accommodation at a reasonable price, with breakfast thrown in for good measure. !